I’m Doctor Joel Schlessinger and I’ve created this blog to share advanced skin care solutions with you. Feel free to ask whatever questions you have, by commenting at the end of a post. 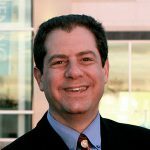 Doctor Joel Schlessinger often provides expertise to top media publications in the country. To find out more, bookmark the Doctor Joel Schlessinger media blog. As a final note for now, in this blog you’ll also hear about clinical trials of new products conducted by Doctor Joel Schlessinger. Plus, my son Daniel and I have created the first 1% hydrocortisone balm found in a stick form. The patent is pending on this invention, which can be purchased at www.LovelySkin.com/FixMySkin. Visit the social media landing page of Dr. Joel Schlessinger on LovelySkin.com, or simply follow Dr. Schlessinger on Facebook | Twitter | Flickr | SlideShare | Google+.